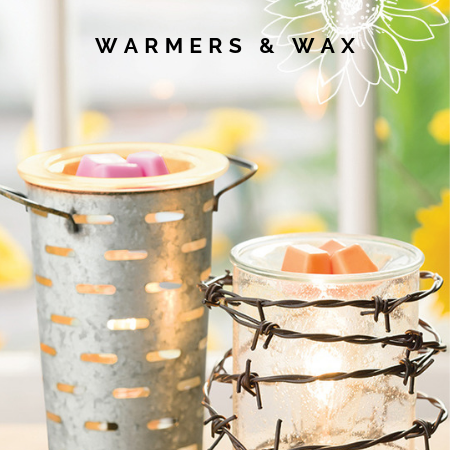 Scentsy Candle Bars, Warmers, Diffusers, and more! Scentsy is more than a candle and warmer company. While our Scentsy warmers and wax are definately popular, we also offer diffusers, essential and natural oils, laundry, body, and more! Shop online and have your Scentsy products delivered to your door! Be sure to check out our portable and rechargeable warmer - Scentsy Go! 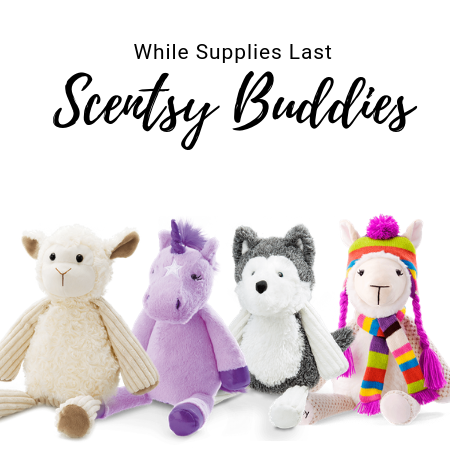 Scentsy Club - Never Run Out of Your Favorite Products Again! Nothing! There are no fees to join the Scentsy Club subscription program, and there are no minimum or maximum purchase requirements. You pay only for the products you order and any applicable shipping charge. Depending on your country and/or the purchase amount of your order, you may qualify for flat-rate, reduced or free shipping. 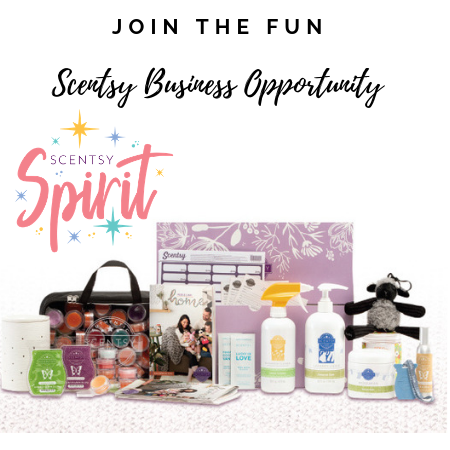 Join Scentsy Club here! Our new Scentsy Whiff Box is a monthly hand-picked assortment of Scentsy fragrances and product lines of new, trending and seasonal items. Every month's assortment is a fun surprise! 5 to 8 samples sand full-size consumable items (aka the stuff that runs out) in each box. You’ll always get Scentsy wax in single-use samples and/or a Scentsy Bar or two. 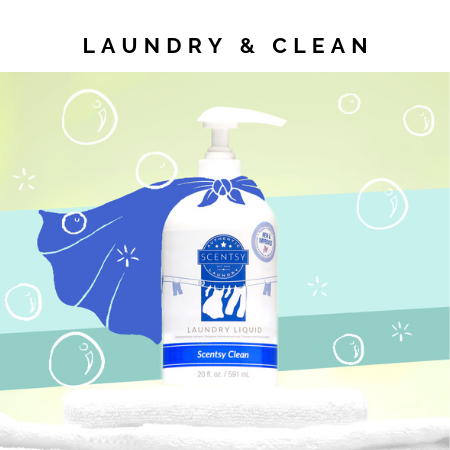 Remaining contents vary depending on items available in your country, either from Scentsy Laundry, Clean, Body or on-the-go products. 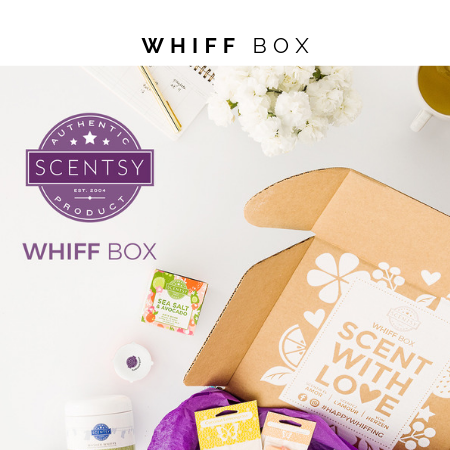 Your Scentsy Whiff Box will arrive in a unique Scentsy-branded package containing a product information insert and a “sniff preview” of the next Scent of the Month! Get all the exciting details about our Whiff Box here! 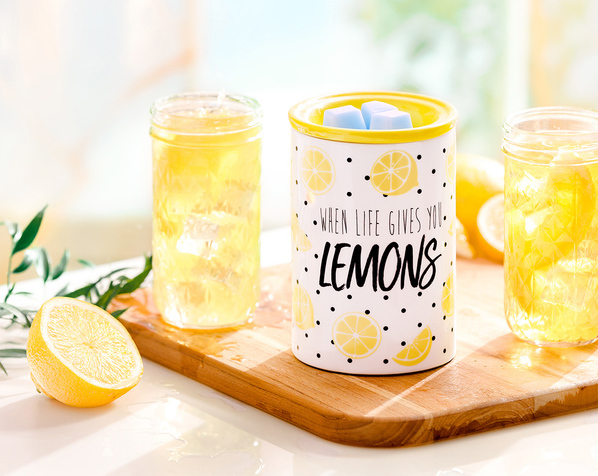 Scentsy is proud to partner with Alex’s Lemonade Stand Foundation (ALSF) for our newest charitable cause product, the When Life Gives You Lemons Warmer, now available for $40 US. ALSF was started by a little girl who, despite battling cancer herself, was determined to change the world, “one cup at time.” Now we want to help Alex’s dream grow, one warmer at a time. Join us in supporting Alex's Lemonade Stand Foundation! Click here! Offering over 80 scents, warmers and fragrance products designed to enliven and warm your home. Warmers, Diffusers, Scentsy Go and more. Check out our product line for home fragrance delivery systems. Set a schedule that works for you, when you join Scentsy as an Independent Consultant!